Ten years ago, the economy was bleak. The U.S. was in a recession. The subprime mortgage crisis was undermining Bear Stearns, Lehman Brothers, Countrywide Financial, AIG, and other major financial institutions; General Motors looked like it might go out of business. Then, in a story for the ages, the nation bounced back and led the world out from The Great Recession. Over the last 10 years, a dollar in America's 500 largest public companies grew to $2.48. 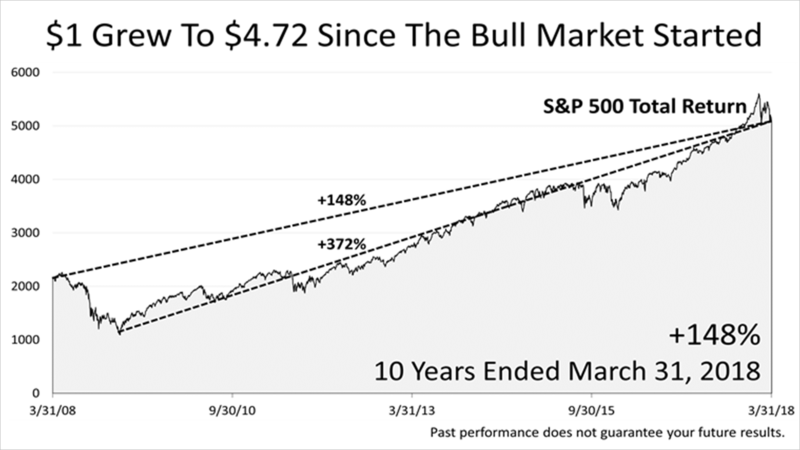 From the stock market's low point on March 9, 2009, a dollar appreciated in value 4.75 times, to $4.72 - a 372% return! For the past decade, what makes America exceptional was in plain sight but difficult to see in the moment. It's never easy to see why U.S. stocks would gain in value. The current period is no different. Share prices plunged 10.2% in early February, on inflation jitters, and again in March, on fears of a trade war. In April, The Wall Street Journal warned of a long period of weakness and cracks in global growth. Things looked bleak. 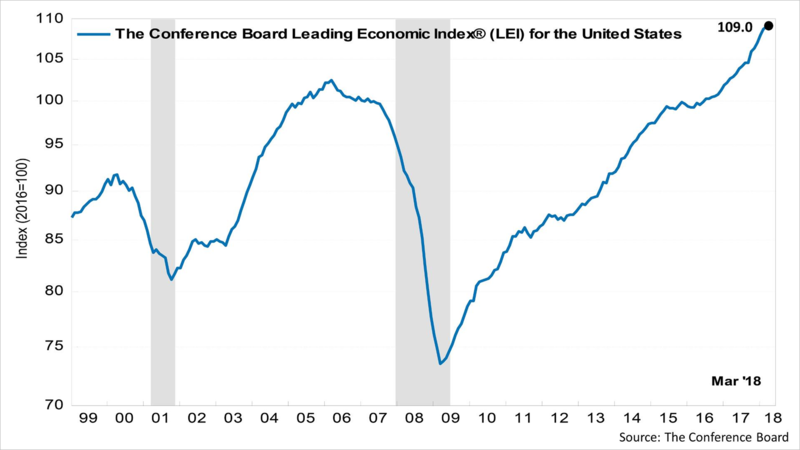 We're here to remind you that U.S. leading economic indicators released in April continued a long surge far beyond the highest point of the last expansion. This key forward-looking composite of 10 indicators points to solid growth for the rest of 2018. Despite the headlines, increased market volatility, and a weak first quarter return on stocks, very strong economic fundamentals remain in place. We're here to help you manage your portfolio for the long run.